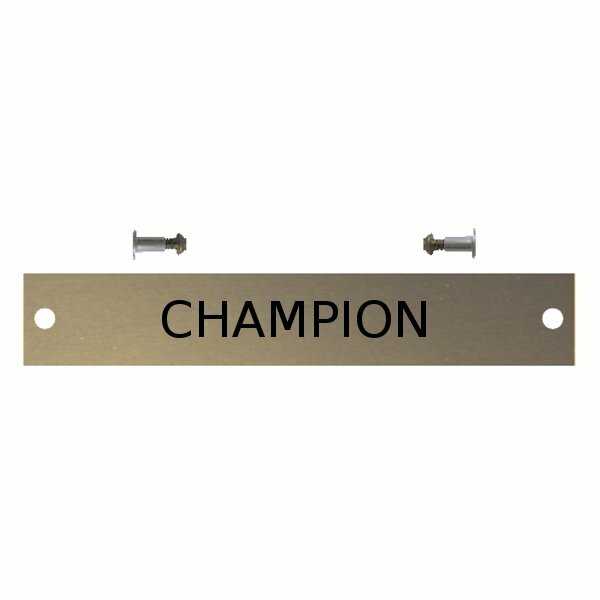 This engraved horse halter plate is made of laquered brass and is supplied with chicago screws. The horse halter plate is engraved with up to 20 characters within the price to personalise the halter plate for your horse. The brass horse halter plate is approximately 11.5cm wide by 1.8cm high, and is designed to fit standard halter 3/8" thick. Postage for the personalised halter plate is Band A. We only have three of these plates in stock, please contact us before ordering.